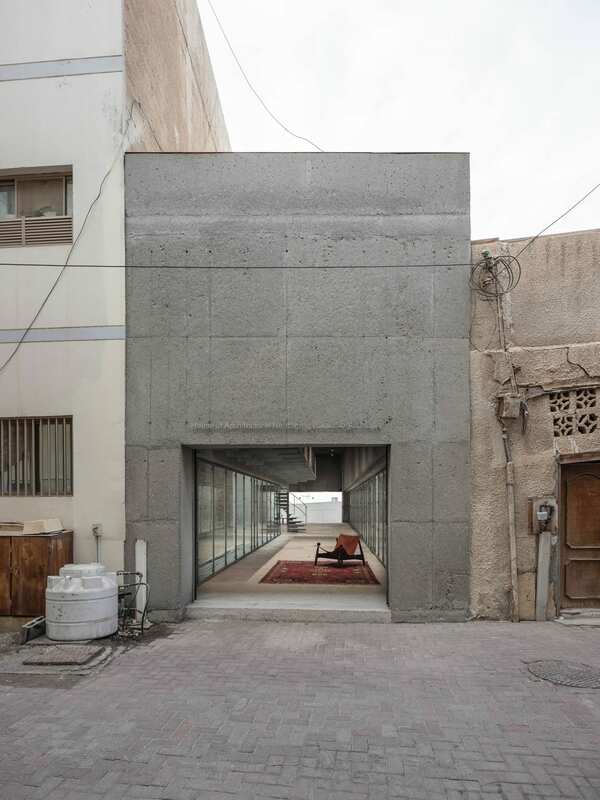 The House for Architectural Heritage in Muharraq, Bahrain serves to showcase the architectural identity of the city, both old and new. 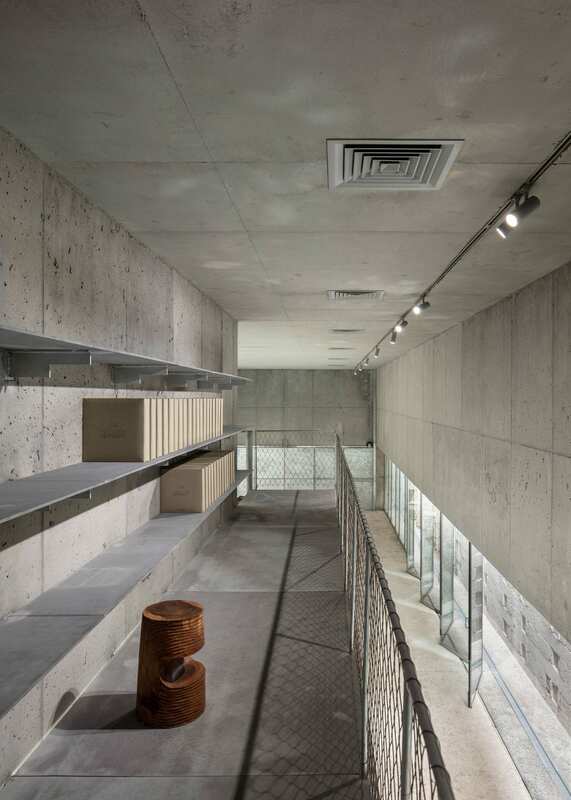 Completed in 2017 by Noura Al Sayeh and Italy-based Leopold Banchini Architects, the space is primarily used for exhibitions, and also houses the archival collection of sketches and drawings by architect John Yarwood. 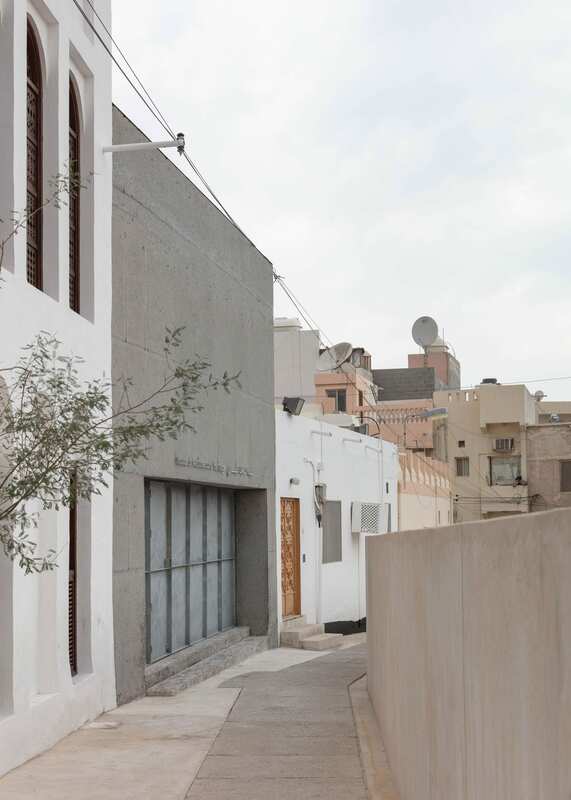 The project was commissioned by the Shaikh Ebrahim Centre for Culture & Research, an NGO established with the primary aim of conserving traditional buildings throughout Bahrain. 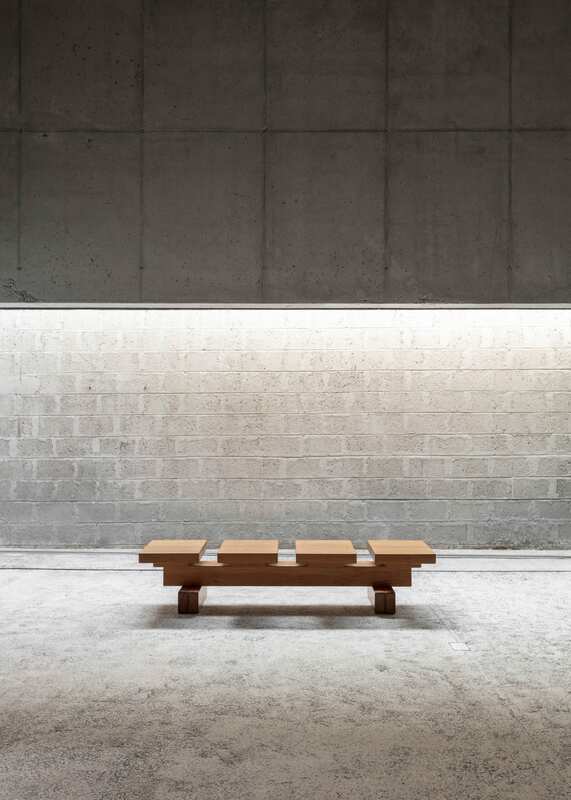 The space follows a beam structure, serving to frame the adjacent walls of the two neighbouring buildings. 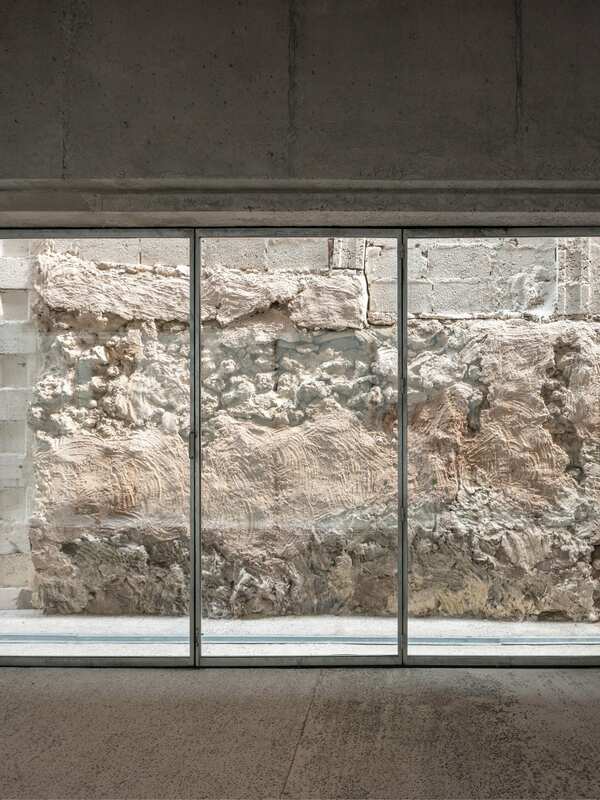 Preserving the ‘found’ state of the interior walls provides a timeline view of different phases of construction and the urban conditions of the city, from crumbling coral stone to block work. 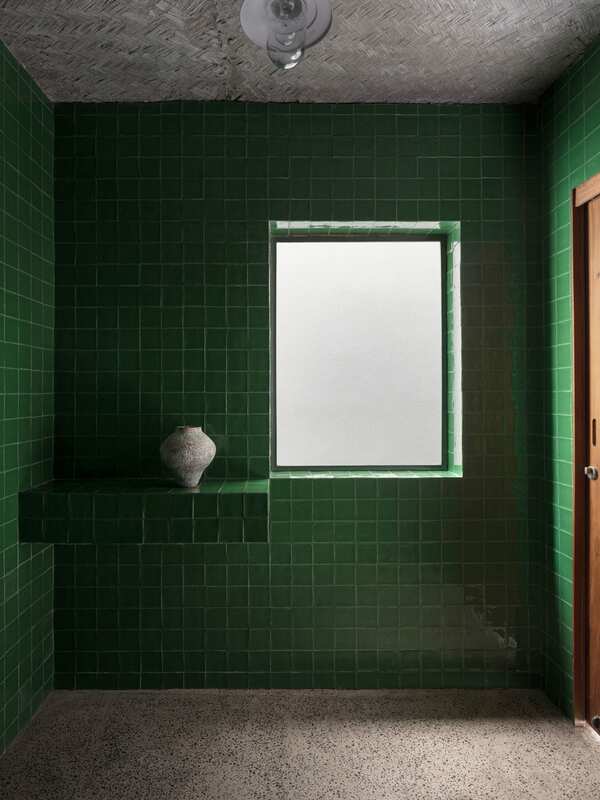 Each wall was given a thin coat of lime wash, rendering a coherent interior space while still maintaining the expression of the original materials. 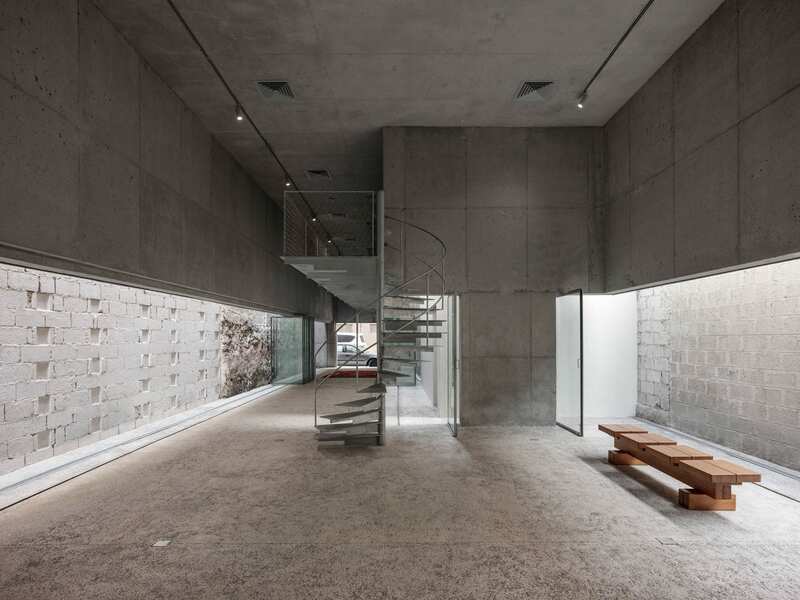 The new structure is made entirely of reinforced concrete, juxtaposing the pre-existing walls, as well as much of the surrounding architecture. 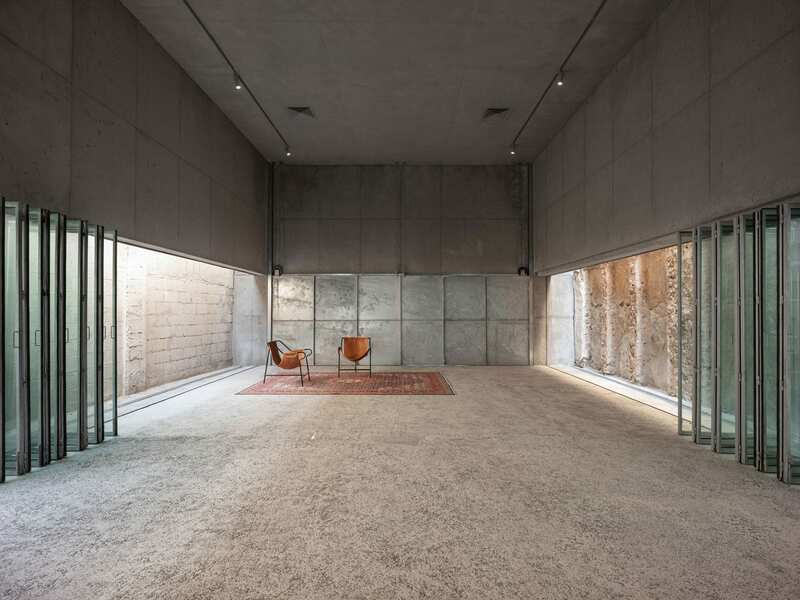 The concrete also protects against direct sunlight and is thermally insulated to reduce the need for air conditioning. Folding glass doors made by a local steel workshop run the entire 26 m length of the space. They open up completely, allowing the adjacent walls to be displayed as an integrated part of the exhibition space. The two main facades contain sliding doors that can lift within the height of the beam, completely opening the exhibition space to the streets. This offers the building as a passage between two streets, encouraging more public participation and interaction. A steel spiral staircase leads to a narrow mezzanine, lined with shelves filled by a small architectural library, and John Yarwood’s sketchbooks. Yarwood lived in Muharraq between 1983 and 1985, while he was serving as Head of Urban Renewal at the Ministry of Housing. 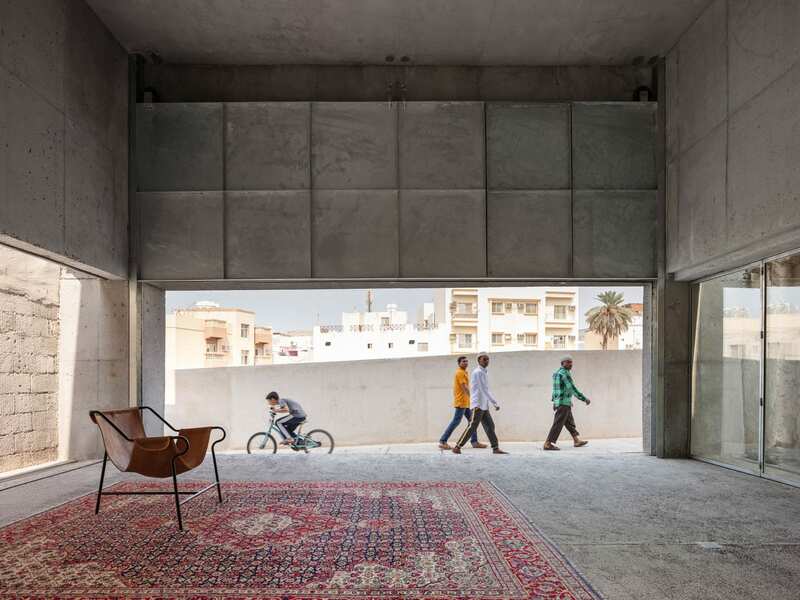 The post House of Architectural Heritage in Muharraq, Bahrai by Leopold Banchini Architects. appeared first on Yellowtrace.